Should You Go To a Hospital Amidst a Crisis? Home > Should You Go To a Hospital Amidst a Crisis? Frequently when the term “emergency” is used, it is usually connected to a visit to the hospital. In the event of an earthquake, terrorist attack, or pandemic one can expect the hospitals to be taxed greater than 600% of what they are equipped to handle. Ironically, any time you have a situation in which there are more patients than a hospital is equipped to handle, you’re faced with a sub-crisis within your crisis. Today I wanted to give you some real numbers and some real facets to consider with regard to a hospital’s ability to respond in a disaster. 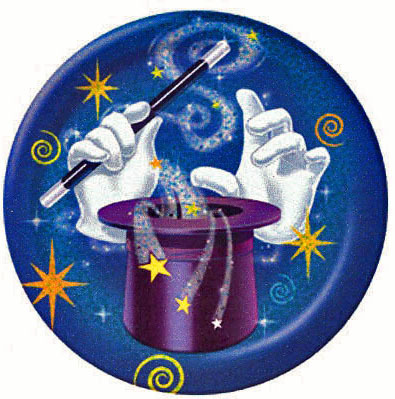 Hospitals Can't create Space using Magic! If you’ve never heard of the practice of “just in time delivery and inventory systems, that you may want to check out this report generated by the American Trucking Association which carefully outlined the impact that just the right disaster would have on our nation as a whole as a result of how narrowly grocery stores, pharmacies, nursing care centers, and yes, hospitals stock their necessary supplies. Instead of stocking up, they keep their financials as liquid as possible by taking advantage of the luxury of overnight delivery and a smooth transportation system. It’s almost magical to think that we can actually see something that we want on the other side of the country and have it in our hot little hands the very next day. But, as they warn in fairy tales, magic always comes with a price. 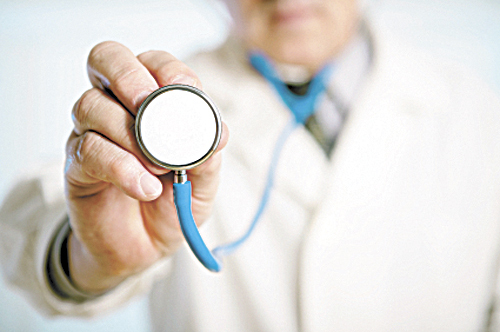 And when it comes to hospitals, that price may be much more than you bargained for. First of all, let’s remember that Hurricane Katrina wreaked all kinds of havoc, but it certainly wasn’t the worst we could have seen. There were many more “close calls” in which vulnerable infrastructure was spared. And yet even though it wasn’t the “worst possible scenario”, within a matter of 30 minutes into the aftermath, the hospital waiting rooms that were at maximum capacity! Keep in mind that’s in light of the fact that traveling to a hospital wasn’t exactly easy after Katrina had her say. Worse, many persons attempted to come to the hospital for no other purpose than having some semblance of shelter and to be “near” medical care “just in case”. As a result there were many bodies taking up space that could have otherwise been used for the seriously ill or injured. Let’s also not forget the fact that Mother Nature has signed no treaty of respite for hospitals, water systems, electric grids, etc. Hospitals are buildings that can be thrashed around just as easily as some homes in an earthquake. They are also run by real people, not eternally alive vampires. As such, a disaster that hits a community can just as easily hit a hospital and all the people working therein. Consider also that nearly every hospital in the U.S. is already taxed to their near maximum capacity with emergency room intake as well as hospital beds—this is without a Pearl Harbor scenario or a San Francisco fire, or a Hurricane Katrina scenario being thrown into the mix. This is in PEACEFUL TIMES. Without even getting into the “just in time” inventory and other procedures that are observed in order to keep the payables as low as possible each day, even in a BEST CASE scenario, you’ve got TWO HOURS at the MOST before a hospital has exhausted all of their supplies necessary for emergency room and inpatient needs. And yes, at the first hint that such a scenario is even possible, hospital staff will be forced to make judgment calls on who has the most pressing need for care, not who got there first. In fact, the report created by the American Trucking Association actually says that 2 hours is generous. 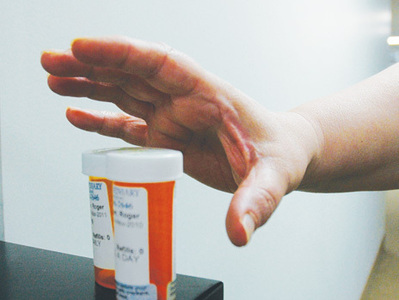 It states unequivocally that hospitals and pharmacies would be “IMMEDIATELY jeopardized” in the face of a serious crisis. 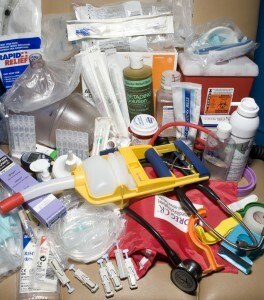 In fact, to be blunt, Al Cook, former president of the Materials Management Association and current member of the Medical Materials Coordinating Group, which is advising the U.S. Department of Health and Human Resources on emergency preparedness says that NO HOSPITAL in the U.S. has sufficient supplies on hand to support a large scale medical emergency. 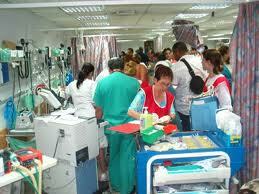 There are also volatile shelf-life issues to consider on many of the supplies used by hospitals. For example, cancer patients use radiopharmaceutical supplies for their treatments and diagnostic services. These items only have a shelf-life of a few hours. Then there’s that nasty little speed bump so many are dealing with nowadays—prescription drug shortages. 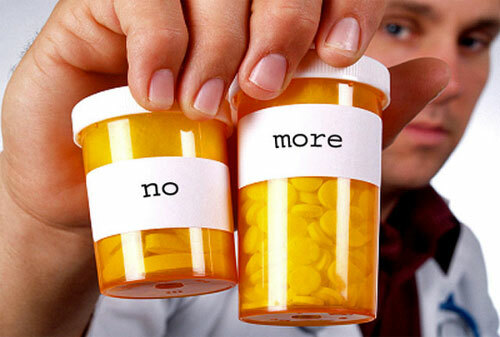 If you haven’t heard yet, there are many prescription drugs right now that are categorized as a “scarcity status.” (By last count the number was up to 238 different life-saving drugs were on that list ) Again, remember, this is PEACE time, folks. These aren’t obscure drugs in many of the cases, these are drugs which people need to stay reasonably functional. While I won’t go into all of the back story on WHY this is the case, the bottom line is, there are a lot of people who have been suitably panicked over the past 4 months wondering if they will be able to survive if there was anything else to occur that would disrupt this vulnerable system. Unfortunately, as ironic and unsettling as it may be to hear this, there are many hospitals that are failing their initial assessments of emergency readiness as a result of a lack of training, practicing proper protocol and patient prioritization. This is the same reason that so many people died in the Twin Towers on 9/11. There were safety protocols in place for their situation, nearly exact as a matter of fact due to a bombing attempt a few years earlier, but as a result of a lack of training, information dissemination, and continuity of training and practice, in the heat of the moment far too many missed grabbing a hold of their lifelines and perished. Will the hospital you go to be capable of handling a true emergency? Last but not least, even if your hospital is superbly capable of handling a crisis, the people who are fleeing to the hospital are NOT. I’d be just as concerned exposing myself to the desperate, morally bankrupt individuals amidst a disaster as I would insufficient medical care. I don’t really need to paint the picture do I? Suffice it to say pharmacies aren’t the only sources for drug addicts to rob and desperate people tend to have the loudest voices and the shortest tempers when accompanying someone they desperately love and are worried about. So in the event of an emergency, should you try to go to a hospital? Well, my suggestion would be to think long and hard about what you’ll do under those kinds of circumstances. As I write this I can think of a lot of things that people go to the hospitals for that I know I could learn to better handle myself. Uncomplicated childbirth, setting simple broken bones, treating cuts, wounds, bronchial infections, minor burns, etc. are all scenarios that most go to the hospital for, but which could be handled properly at home with the right tools and training. Regardless of what your answer is, at least now you have more to consider in making that decision. As for me, I intend to do my best to avoid making matters worse by exposing myself and those around me to any more chaos than is absolutely necessary--looking at these odds doesn't exactly scream "safe and secure" in my mind. wow! What a domino effect with the trucking freeze. It helps me to realize how little I am prepared. I will have to step it up a lot. Thanks for all the info you provide. One useful pdf I came across on the internet is "Ottawa Ankle Rules". If you search for it, you can find diagrams and explanations to determine if your foot/ankle needs an x-ray after an injury. One more bit of info. to file away. This is why I have a major obsession with medical supplies in my stockpile :) I also ask all the hospital workers I know to bring me the stuff that's going to get thrown away from their supply rooms. So far, no one has brought me anything though :/ Taking a suturing class was one of the highlights of my year! If only I could get my hands on some lidocane, I'd be set! Don't know where you could come by lidocane, but, it is a good idea to squirrel some away if you can. Suturing without it is quite tedious, especially if you also happen to be the suture recipient (been there, done that). Oral pain reducers help some, but, no comparison to the REAL THING. Look into LMX. It is keep behind the counter and is a topical pain relieve. It will help but not eliminate all of the pain. Oh my Kellene, you know that you and I have have had emails between us about our different points of view on Medical care. I'm a hospital nurse of almost 30 years, but you sure hit the nail Square on the head with this! I agree with you 150% on this. A hospital will be HELL for staff and patients. It would be the place I would go to Only as the last chance of survival. There are so many reasons I could write a complete article on this. Suffice it to say, my friends who were working during the Loma Pieta Earthquake in 1989, had incredible stories to tell and were real heroes. The nurses who were in the poor hospitals of New Orleans during Katarina were destroyed as nurses by having to make decisions on helping their patients not suffer. I have decided if TSHTF my priority is surviving and taking care of my family. I risk losing my license if I refuse to work, but do you think my friends, family and neighbors will care? No. I agree with you, unless I needed a surgeon to repair a catastrophic. Injury, I wouldn't go near a hospital in a crisis. But I would and do in normal circumstances. Let's hope we never face this. I have an old Red Cross Fist Aid Manual. When I worked for the prison system in my state, all employees were required to take First Aid and CPR training yearly. I am retired now, but I still have my manual and thank God, training. I have an old Red Cross Fist Aid Manual. When I worked for the prison system in my state, all employees were required to take First Aid and CPR training yearly. I am retired now, but I still have my manual and thank God, training. Had a chance to make that decision last year. I stepped off my front step onto my porch and immediately twisted my ankle so viciously, that I broke a bone in my foot (how did it know that???). It make a distinctly audible "crack" and subsequently swelled twice its size and turned black and blue. I did not panic, but thought of the consequences of sitting in a hospital ER for hours before being seen, only to have a doctor and nurse come in and put clean rubber gloves on over unwashed hands and poke and prod on me till I screamed, then send me to x-rays, then wrap my foot in a cast up to my knee and send me home either with or without MRSA!!! So, I chose to take care of myself, just like my mother did the whole time I was growing up. I only saw a doctor once growing up (amazing, huh!). My mother had taken nurse's training and as a result I learned to be pretty self-sufficient in my lifetime. So, I just took care of it myself - lots of ice bags all day long every day and elevated my foot. I did not wrap it up, as it made it worse. I had no crutches either - but I had a cane. I started making myself use the cane after 3 days and I hopped and limped for several weeks. But my cane was a pretty hand-made wooden one and I looked rather sophisticated wherever I went. I could still drive and I just took it slow and easy until I healed. People couldn't believe I would not go to the hospital or doctor. I know they thought I was nuts. I felt rather good that I was able take care of myself (I live by myself and I am not young anymore). But I have always been active and in good pretty good shape, so that helps a lot. I agree. On a "normal" day in our ER, all the beds are filled, people are milling around in these rooms. It's chasos on a "normal" day. It all depends on who is in charge how their ER is run. They need to be prepared at all times as though there are 30 plane crash victims coming thru the door. Supplies also, I see the shortages everyday. We get cheaper, inferior products each time. Infections are every where on a good day, never mind placing yourself and loved ones into this giant "petrie dish". Learn to take care of yourself. I am a "doctor" so to speak, of robots. My Fortune 5 company thinks that 100% uptime is the bare minimum baseline that we all should achieve each year. Problem is, they stock on the bare minimum of absolutely critical repair parts (and, sometimes, not even that). Years ago, we would stock an "ample" supply of critical and non-critical parts and rotate them in and out of inventory. We are talking robots here. Not human lives. I can imagine the human carnage with the same, "bare minimum", "just in time" supply chain working to supply our nation's hospitals and critical care units. The body count would be quite high. That same supply chain is working for your supermarkets, drug stores, gas stations, and most all other institutions that make life possible in 21st century America. We are in for a RUDE AWAKENING. And what happens when the local hospital is destroyed as in the Joplin, Mo tornado? DIL and her National Guard unit quickly sent there with their mobile medical unit. She said it was a worse scene than her tour in Iraq. Also, people actually died of infections caused by all the nasty bugs in the debris...one from a simple laceration to scalp that got infected. Scary thought about hospitals but so true. 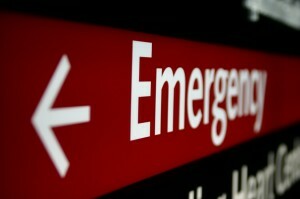 Its amazing the number of people that will go to the ER for non-emergencies. I can just imagine how that would triple or more in an actual emergency. I myself would rather just avoid that place if possible. I too have started getting supplies together to treat simple accidents. I am going to get a medical book to help me learn basic treatments and such. Thank you Kellene for all the info you share with us all. Its always a huge help. I worked in hospital labs for 40 years and while the labs is considered ancillary and performs dignostic assessment the shelf stock was always critically low. There are days we had to borrow supples from other hopitals to carry on for the day, expedite emergency shipping, or worse put off testing until the next day. This is all in good times. As you mentioned most hospitals on working on a shoe string budget and most supplies are "as needed" only. With backorders, production delays, transporation issues even now, it's a nightmare. Hospitals will be resorting to 3rd world medicine with just a few hours if the balloon goes up. What an eye opener! My local library is having a book sale tomorrow. I'm on top of it. I do have a medical stash that includes vicodin, antibotics and some other items. Really need to beef up my knowledge. Hopefully this will be a good avenue to find some much needed references for my non-existant library. Thanks for keeping us informed and up to date. You will never understand how helpful your site is for me. P.S. Just recieved my 5lb bucket of Diatomaceous Earth last week. Thanks for the tip and I cant wait to use it. Now waiting on buckets. Nancy, read our recent Fish Antibiotics article. If you need antibiotic, and have any friends that are snowbirds, send them over the border for what ever you need for almost nothing. I would NEVER recommend getting drugs from foreign nations. If you only knew what kind of lax behavior is allowed there. If you are wise you will shop via Canada with a valid prescription from your doctor here in the USA, or see a doctor in Canada(if you can get in). I have had to go through a drug ordering house for antibotics that are no longer available within the borders of the USA. I did a lot of research and then checked with a family member who works in the medical field before I selected a company. There are companies out there that promise you the stars and moon, but you need to locate one that requires a legal medical slip that a Canadian doctor can review and write for that country. Now I have discovered they do "not" automatically refill your drug order you will have to call them. Many people have heard of the concept of "Triage", what this means in a extreme emergency I'd that patients will be assessed by a member of a medical team as to the effectiveness of treatment and urgency of care, and availability of resources. This is done on three levels, level 1 , Walking wounded means that those without non life or limb threatening injury will wait for care, such as a broken arm, needing stitches that aren't arterial bleeding, general illness, these will receive care only after the next level is cared for. Level2, needing immediate care, these are the patients with life or limb threatening injury or illness, these are the patients who can be saved with immediate care. These are the patients with arterial bleeding, facing loss of a limb, in shock, breathing, cardiac or neurological threats, these are the patients who will get the most resources as best decided in order of need. The third group is the Hopeless group, these are the unfortunate folks who are going to die anyway, and will be given only Comfort care to ease their dying. Such as someone with horrific injury or burns, or catastrophic infection. So how does this affect you? Remember these are extreme situations that No One wants to face, these are the events that are beyond control of a hospital staff, like Katrina or 911. (if there had been survivors, which there weren't),. This also means that if your loved one is in the hospital prior to the event and just recovering from a illness or childbirth, surgery. They will be Immediately discharged out on the street to make room for casualities. The resources and staff will be assigned to the event, routine care will not be provided. So if Grandma is in the hospital you better figure out how to get there to pick her up fast. This is just something to consider in your Prepping plans. Hope it helps. In answering the ultimate question, going to a hospital. I would see the medical personal in my husbands SFchapter before I set in a waiting room, waiting and hoping that I would be seen. When was the last time any of you went to an ER in your area? If you go into the waiting room set down and just observe those that come in for simple medical care, you will understand. This is an extremely though provoking article. The following sentence, in particular, really stood out: "I’d be just as concerned exposing myself to the desperate, morally bankrupt individuals amidst a disaster as I would insufficient medical care. " Yikes. The only way I would go to a hospital during an emergency would be by ambulance. Otherwise you are stuck with the masses. I worked as a registrar in an ER, no thanks, hospitals are germy places. I'm honing my skills especially surgical/suturing. Being a seamstress for years has helped! I'm also Red Cross first aid/cpr trained. © This article is copyright Preparedness Pro. Any distribution, recreation or use for non-personal reasons is vigorously prohibited.